← Should You Buy Appliances Online? Home automation systems are getting a lot of attention these days because of the connectivity factor with people’s smartphones. It’s part of the ‘Internet of Things’ kool-aid that home appliance manufacturers are drinking to bring technology innovations into today’s major home appliances. Two examples stand out in this new era of smartphone automation with appliances. For example, stove manufacturer Dacor sells a professional smart oven range. The appliance has two ovens, and six burners, and a built-in Android device for connectivity and operations control. And GE now has wall ovens that allow users to use their smartphone app to manage the cooking time, temperature and food status of food in the oven. The exciting part is that a new update lets busy users control the oven even when they are outside the house! These marvels of technology don’t come cheap – GE’s remote-enabled wall ovens are priced between $2,300 and $3,800. Of course, not everyone is ready (or willing) to set up their kitchen with smartphone-enabled automation. Does your lifestyle require you to set up dining options on your smartphone every day? Possibly, or not. But the fact that you can do this over your phone today is what is keeping everyone excited. Want to check the status of that laundry wash cycle that you set up to run an hour ago? Now you can. Or maybe you threw leftover vegetables and meat into a crockpot earlier in the day and now while you’re out, you want to turn it on. Use your smartphone-enabled app to start. But if you’re like the majority of Americans using manual major home appliances, you need to know that your appliance will work consistently and continuously. 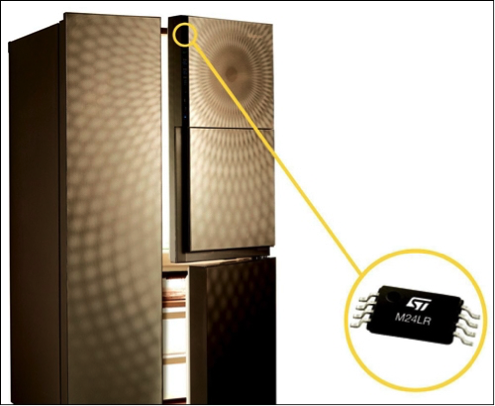 What if your refrigerator’s cooling switch falters? What if your stove isn’t heating as hot as it should, and as a result, you’re food is being undercooked? These are the more common problems for the average homeowner than finding the app on your phone to cook tonight’s meal. If your appliance has stopped working, or you know it needs a new part, where do you turn? Contact the pros at Appliance Parts Company. Our catalog of replacement parts for today’s major home appliances can ease the stress of any homeowner. Simply check out our online catalog and find the part for your particular refrigerator, dishwasher, range or other major home appliance. We’ll be sure to help you. This entry was posted in Appliance Repair Parts and tagged Appliance Parts, automated appliances, home appliances, home automation, new technology in appliances, Smartphones. Bookmark the permalink.